Extended pelvic lymph node dissection versus limited dissection during radical prostatectomy does not improve biochemical recurrence rates. Extended pelvic lymph node dissection (ePLND) is not associated with short-term oncologic benefits compared with limited dissection in patients with intermediate- and high-risk prostate cancer (PCa) without bone metastasis, according to the findings of a phase III randomized trial presented at the 2017 American Society of Clinical Oncology annual meeting in Chicago. Results showed, however, that ePLND is associated with better tumor staging. The trial (NCT01812902) included 291 men who underwent radical prostatectomy during the period 2012–2016 for intermediate- or high-risk PCa without bone metastasis. The researchers randomly assigned 145 men to ePLND and 146 to limited PLND (lPLND). Over a median follow-up of 35.2 months, Jean Felipe Prodocimo Lestingi, MD, of Universidade de São Paulo in São Paulo, Brazil, and colleagues observed no differences in biochemical recurrence, use of radiation or androgen deprivation therapy, bone metastases, or death between the groups. As shown in previous studies, ePLND significantly increased operation time, estimated blood loss to 100 mL, transfusion rate, postoperative complications, and length of hospital stay compared lPLND. Assessment of cancer specimens revealed no meaningful differences between groups in Gleason grade, T stage, or positive surgical margin. The majority of patients in both groups had pT3a or higher disease. With regard to tumor staging, ePLND did improve cancer staging by revealing 6.3 times more lymph node metastases compared with lPLND. 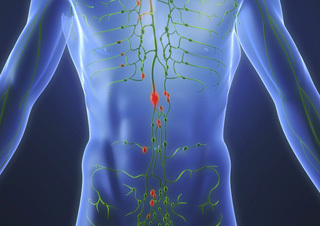 During ePLND, surgeons removed a median 17 lymph nodes. During lPLND, they dissected a median 3 nodes. The team noted that only ePLND discovered positive nodes in intermediate-risk patients. Prodocimo Lestingi JF, Guglielmetti G, Pontes Jr J, Mitre AI, et al. Extended versus limited pelvic lymphadenectomy during radical prostatectomy for intermediate- and high-risk prostate cancer: Early outcomes from a randomized controlled phase III study. J Clin Oncol 2017;35 (suppl; abstr 5018). Presented at the 2017 American Society of Clinical Oncology annual meeting in Chicago on June 5.